SILVER SPRING, MD – The Montgomery County Planning Department, part of The Maryland-National Capital Park and Planning Commission (M-NCPPC), is pleased to announce that its Bicycle Master Plan is the winner of a Bicyclists’ Choice Award for Best Improvement for Biking in 2018 in Maryland from the Washington Area Bicyclists Association (WABA). The Bicycle Master Plan, approved by the Montgomery County Council in November 2018, sets forth a vision for a world-class bicycling community, where people in all areas of the county have access to a comfortable, safe and connected bicycle network, and bicycling is a viable transportation option that improves our quality of life. The award, selected through a public vote, celebrates the Bicycle Master Plan and the role of Montgomery Planning throughout its development and adoption. The Bicyclists’ Choice Awards provide the opportunity to recognize the people and organizations doing great work for bicycling in the DC-MD-VA region. 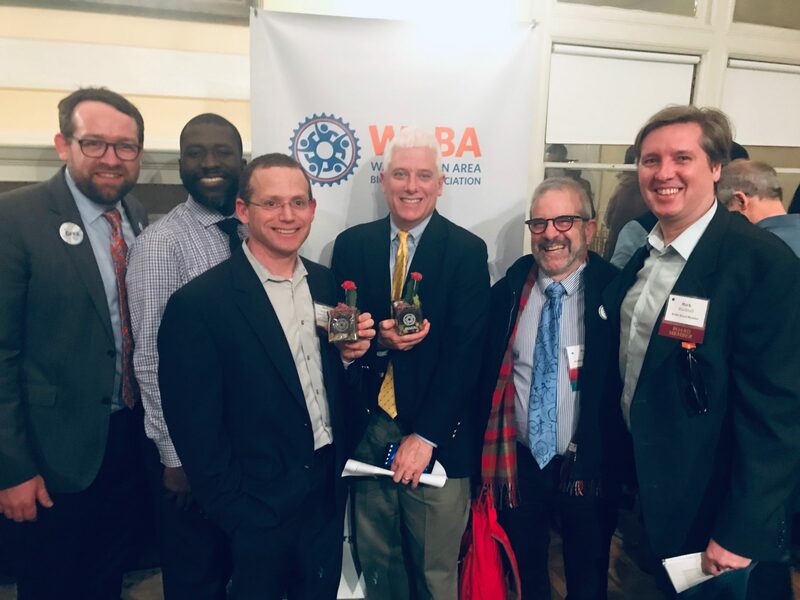 David Anspacher, Project Manager for the Bicycle Master Plan, accepted the honor at WABA’s annual member meeting and Bicyclists’ Choice Awards ceremony, held at the Josephine Butler Parks Center in Washington, DC on Wednesday, February 13. Consult the Bicycle Master Plan website for more details.